Lacks native vsync functionality. It is advised to force vertical sync via the graphics control panel to lessen the strain on your GPU. Dropped starting with patch 1.2.7. Later expansions add Origin DRM. Patch 1.67.2 are the latest patch available. Download and install this mod. Universal fix for most D3D9 and later games. Should provide better anti-aliasing especially with objects that use alpha effects e.g. hair and foliage; the default FSAA implementation unfortunately does not cover such effects. Use The Sims 3 FOV tool. HUD Position Affects Gameplay. Use The Sims 3 FOV tool. You can find various fixes in this Steam Community Guide . Incorrect Region Codes can be fixed with a simple registry tweak. Try to install the expansion pack again. The Sims 3 attracts a large modding community, allowing further customization features. Unfortunately, even properly designed mods could increase the chances of crashes and errors in the game. Mods have a major impact on loading time and stability, and should be used with discretion if you are having issues with the game. The Sims 3 Exchange - The official website for sharing user-made content (sims, households, clothing and etc.). The website uses the Sims 3 launcher to download and install custom content. Both the exchange and Sims 3 launcher require the same account. 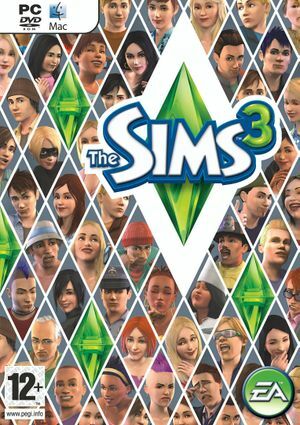 Mod The Sims - Also hosts mods for The Sims 2 and The Sims 4. These tools were created by EA and are hosted on the games official website. VRAM requirements do not apply to integrated GPUs. ↑ 1.0 1.1 File/folder structure within this directory reflects the path(s) listed for Windows and/or Steam game data (use Wine regedit to access Windows registry paths). Games with Steam Cloud support may store data in ~/.steam/steam/userdata/<user-id>/47890/ in addition to or instead of this directory. The app ID (47890) may differ in some cases. Treat backslashes as forward slashes. See the glossary page for details. ↑ The Sims 3 Launcher can no longer be bypassed. This page was last edited on 2 April 2019, at 12:15.